Located just opposite St Paul’s Bay and close to the beach, Mistra Bay. 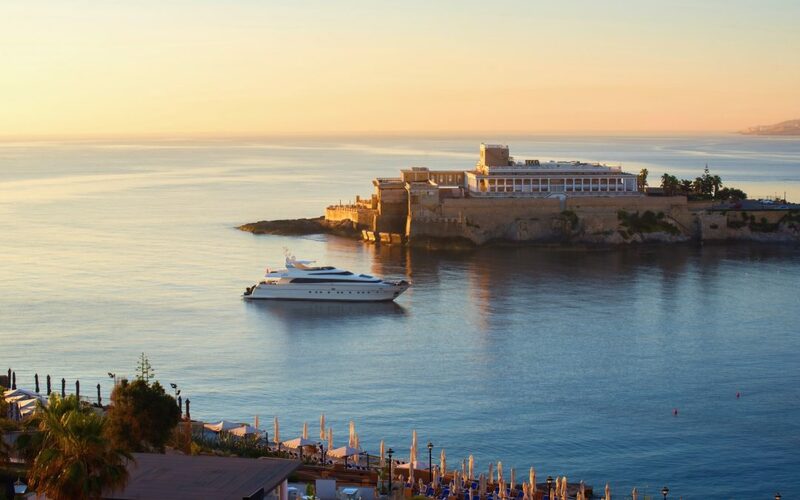 The island got its name and is renowned for St Paul’s shipwreck while he was on the way to Rome. The island is uninhabited, and you can find an iconic statue of St Paul which dates back to 1845. Apart from the statue, the island offers picturesque sea views. 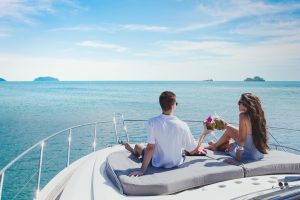 What makes St Paul’s Islands even more sought by yacht enthusiasts is that due to its position, more often than not, it offers calm and protected seas. 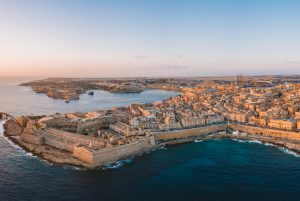 Experience the past mixed with the present when visiting the Grand Harbour in Valletta. When entering the harbour, you will realise why all the previous rulers in Malta highly sought such harbour. 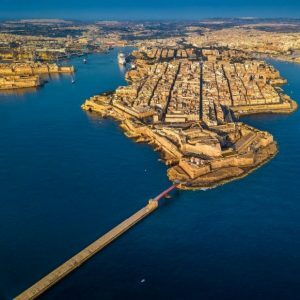 It has been in use since the Phoenician times, however, it was highly fortified by the Knights of St John in 1565, in preparation for the Great Siege. 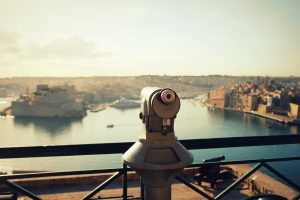 When entering the harbour with your yacht charter, you will find Valletta on the right and the Three Cities on the left. Keep in mind that similar to any harbour, nautical rules apply so before entering, ensure that you are aware of the necessary requirements. A different ambiance than the two above. 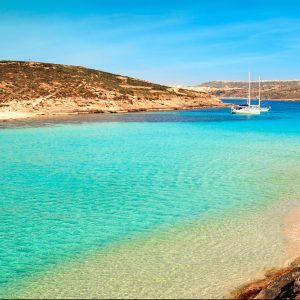 Located in the north of Malta you can find one of the smallest beaches on the island, which is also one of the nicest. It is surrounded with greenery and a beautiful environment, however, the best feature of the bay is its waters. Here, you can find crystal clear waters with very a lively marine life. This makes it one of the best places to snorkel and swim, and is usually not as crowded as other famous bays such as Ghadira and Golden Bay. 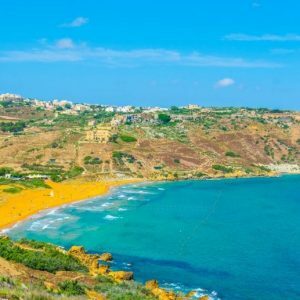 In Maltese, this bay is known as, “Ir-Ramla il-Hamra”, which translates to ‘the red sandy beach’. 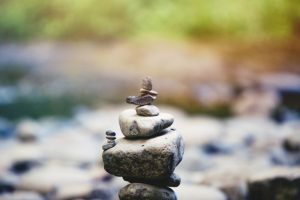 It got its name from the unique colour of its sand. 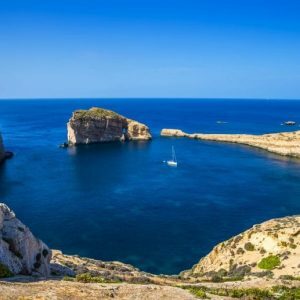 Located on one of the hills in Gozo, this beach is surrounded by nothing but nature, and as one can imagine, offers a spectacular ambience for you to de-stress on your yacht charter. On the same coast, you can find several other beautiful beaches such as San Blas Bay. 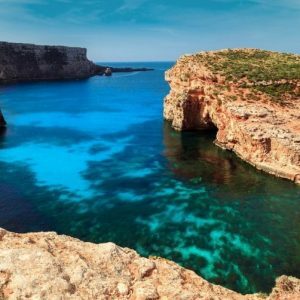 One of the most remarkable natural landmarks on the Maltese Islands. A place where sea, nature, time and geology came together and created a beautiful calm setting for yacht and boat enthusiast to enjoy. In the same location you can find where the Azure window once stood, the inland sea and Fungus Rock. 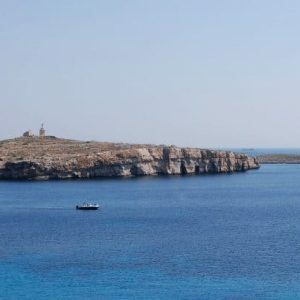 Due to its protected waters from open seas, this is one of the best places in the Maltese Islands to stay overnight or spend a weekend anchored. 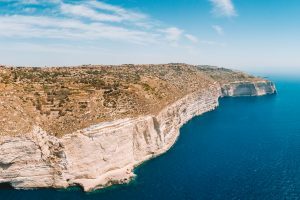 Gozo is relatively small when compared to Malta, therefore, it becomes possible that one of your yacht charter trips includes a sail around the island of Gozo. When travelling an average of 20 Knots per hour, a whole trip around Gozo just takes about an hour or two. Like this you get to discover all the hidden gems on the Gozitan Coast! Possibly the most popular bay in the Maltese Islands and potentially in Europe. Renowned for its marvelous crystal-clear waters and a small sandy inlet offering calm protected seas and a unique swimming and snorkeling experiences. Around the bay, you can find several underwater caves and a very active marine life. On the land, you can also find some vendors selling food, drinks and marine gear. 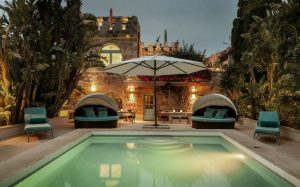 This is truly a must visit with your yacht charter in Malta. Located just behind Blue Lagoon lies a beautiful calm spot with spectacular water clarity. With a slightly different setting than the blue lagoon, this bay is equipped with a beautiful cave, a very active marine life and offers a memorable swimming, diving or snorkeling experience. On most days, it is also less crowded than the blue lagoon. This makes snorkeling in the area more pleasent as you do not need to worry about incoming boats. Unlike the blue lagoon, this bay is usually not as crowded. For most it is not as beautiful as the blue lagoon, however, offers a much more tranquil and relaxed environment. With that being said, it still has very clear and clean waters. 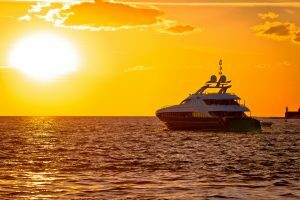 By suggesting the destinations above, we are confident that you will love and cherish your experience with yacht charter in Malta. Unless you have a skipper, ensure that you are aware of the Maltese marine regulations and it is recommended that you plan in advance, in terms of weather forecasting and fuel. A very reliable wind forecast website you can use is Windfinder.